One of the Urban Decay palettes, NAKED PETITE HEAT. This palette holds an all-new lineup of scorched neutrals, which has six different shades. 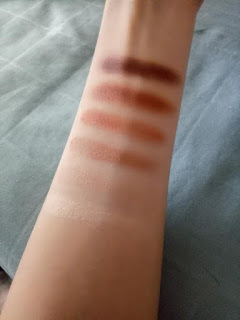 Top 5 matte shades for lid, crease and liner, with the last one semi-matte highlighting shade. Vibrate is a peachy brown with warm tones and matte finish, which is relatively light and hence is buidable. Hot Spell is a light-medium brown with warm, orange undertones and a matte finish. This color stayed on well for long hours. Wild Thing is the brightest tone among all, medium-orange which might not be suitable for all events. It has rich pigmentation but it could be blended out so well. Heist is a medium-dark brown with warm undertones. With a slight touch, it feels really smooth and velvety. Strike is dark brown which is different from the others, its texture feels more grainy and drier. But this color is suitable to finish the dewy and matte makeup. Inhale is a light beige tone with a satin sheen. 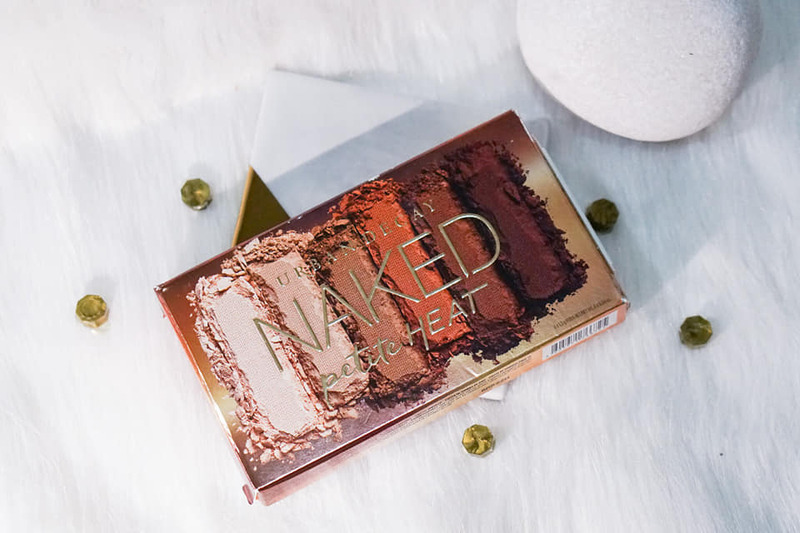 The texture is powdery and hence not really buildable on bare skin. It would preferably to apply primer prior to applying eyeshadow which would stay well for longer hours. Overall, this palette is long lasting, up to at least 8 - 10 hours (even without the use of setting spray), as compared to other products. 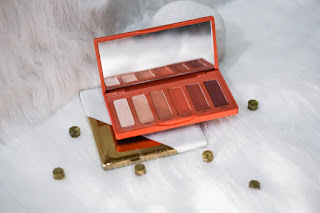 If you like the tone of peachy orange, you can give this palette a try! Here is my finishing look of the Urban Decay Petite Heat! You can get it now from Sephora stores or via online shopping.